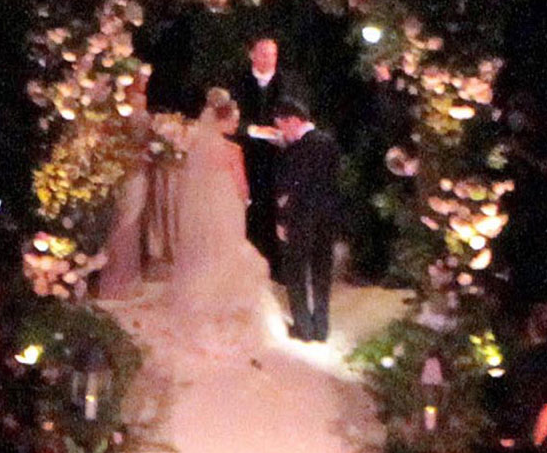 Much like their engagement, Hilary Duff and Mike Comrie's wedding took Hollywood by surprise. The down-to-earth couple said their "I do's" in front of 100 guests at the Mediterranean Villa La Quinta in Santa Barbara, California yesterday. Hilary, 22, stunned guests and her groom standing under an arch of flowers in her Vera Wang mermaid dress. Mike, 29, is said to have "held his arm around Hilary for most of the romantic, candlelit ceremony, and they both looked extremely happy." Pictures will be appearing in this week's OK Magazine, but I'm hoping for an immediate leak. 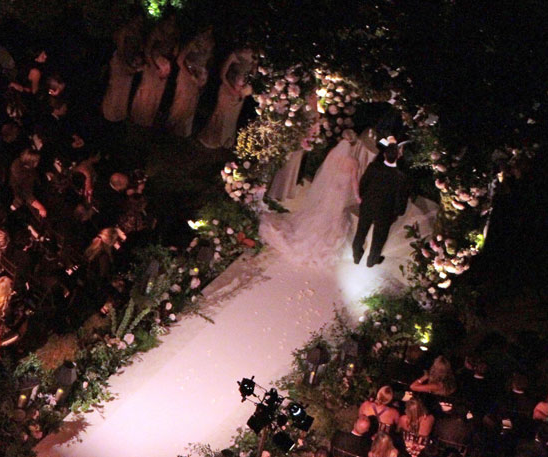 The Hollywood belle always looks immaculate, and her wedding will be no exception. No word yet on where the newlyweds plan to reside, but perhaps Hilary will follow in fellow hockey wife Carrie Underwood's lead and live in her husband's country of work and play, Canada.